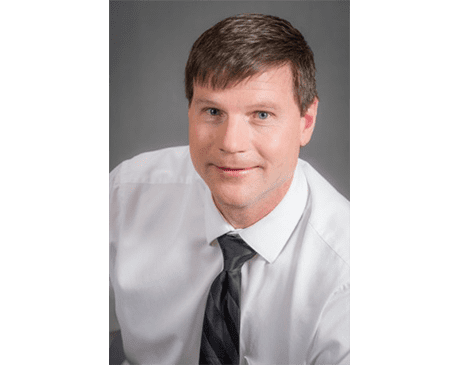 Christopher O. Cook, DPM, FACFAS, practices podiatry at San Juan Foot and Ankle Center in Montrose and Delta, Colorado. He received a doctorate degree in podiatric medicine from the California College of Podiatric Medicine in San Francisco. After graduating in the top 10% of his class he moved his family to Albuquerque, New Mexico, for three years of postdoctorate surgical training. Dr. Cook has been in private practice in Montrose since 2003 and is board certified in foot and ankle surgery. He is highly trained and educationally up-to-date, giving his patients optimal and comprehensive options. He is a fellow of the American College of Foot and Ankle Surgeons, a diplomat of the American Board of Foot and Ankle Surgery, and board certified in forefoot surgery. He grew up in Colorado on a ranch between Meeker and Rangely. He enjoyed the outdoors and became very interested in animals. He graduated with a Bachelor of Science in pre-veterinary medicine, but through various experiences discovered a new love for toes. When Dr. Cook is not up to his neck in feet, he enjoys spending time with his wife and four children. Dr. Cook met his wife, Dawnell, at Brigham Young University where she graduated with a degree in special education. His personal interests include amateur herpetology, running, snowboarding, kayaking, and hunting.